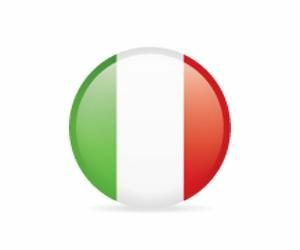 Yggdrasil Gaming has begun the compliance process of certifying its games and platform services to meet technical requirement for the regulated Italian online gambling market, with 11 of the supplier’s popular titles initially set to go live in the market in Q2 2017. Among the titles being prepared for Italian operators are Dark Joker Rizes, Viking Go Wild and Holmes and the Stolen Stones. Operators will have access to Yggdrasil’s collection of in-game promotional tools, BOOST, “taking gamification to the next level” as well as the social sharing tool, BRAG. It will be the first time Yggdrasil’s games have been available in Italy, bringing unique titles and promotional concepts to the market for the first time. [portholes included_tags=”37,40,12,42″] Entering the Italian market will see Yggdrasil further expand its geographical reach,, underling Yggdrasil’s commitment to regulated markets, having already received licenses in Gibraltar, the UK, Romania and Malta. Yggdrasil Gaming CEO, Fredrik Elmqvist comments: “It is about time Yggdrasil crossed the Rubicon as Italy is one of the most exciting and fastest-growing markets in gaming. We already had some Tier 1 operators on our books who were active in Italy, so it was a no-brainer to enter ourselves.